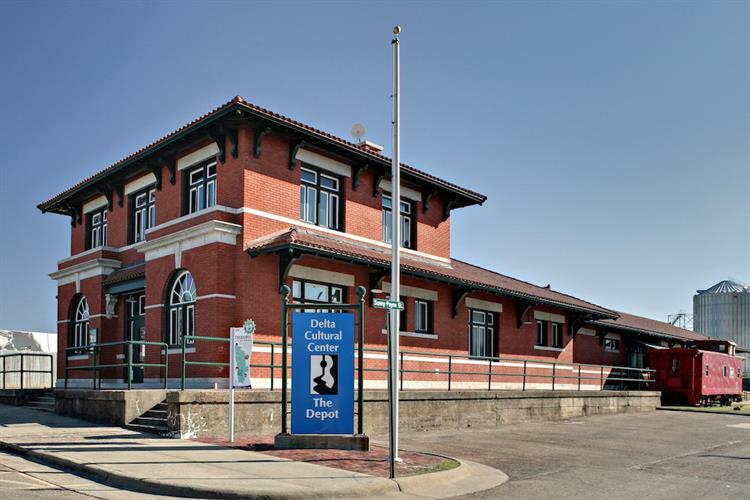 The Missouri Pacific Train Depot (1912) is one of the historic buildings that make up the Delta Cultural Center in Helena, Arkansas. 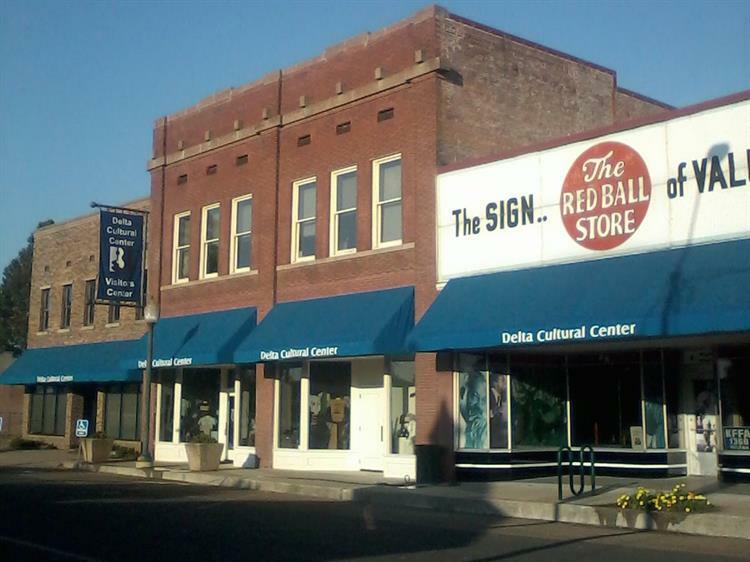 The Visitors Center of the Delta Cultural Center is composed of several historic buildings. Helena (population 6,323), county seat of Phillips County, is located on the Mississippi River and was an important early river port in Arkansas's Delta region. The heritage of Helena and the Delta is showcased at the Delta Cultural Center. Exhibits at the Delta Cultural Center interpret the natural and human history of the Delta region, including the 1863 Battle of Helena, and Helena's important role in the development of blues music. King Biscuit Time, the longest-running blues radio show in the nation, is broadcast from the Center. The Center is housed in several historic buildings, including the Missouri Pacific Train Depot (1912). Other Helena attractions include a large collection of antebellum and Victorian homes, including the Pillow-Thompson House (1896), which is one of the finest Queen Anne-style homes on the South. Many of Helena’s historic properties are protected by local ordinance, and the community has an active Main Street Program that was one of the earliest in the state. Heritage tourism is an important focus, particularly since two national scenic byways pass through the community – the Great River Road and the Crowley's Ridge Parkway. Helena is actively involved in both the Delta Byways Tourism Association and the Delta Rivers Regional Tourism Council. Further capitalizing on Helena’s potential for heritage tourism is a key component of the community’s recently crafted strategic plan. The plan offers a blueprint for developing needed infrastructure to support increased tourism.